These little, feathered vermin arrived at the town of Gnawnia in a large flock one day, covering the trees and shoving the real birds out of the birdbaths. When some elderly tourists sat down on one of the park benches and started feeding them crumbled cheese, the mice evicted all the tenants of the local birdhouses, and settled in for a long stay. Though the real birds have sought out more peaceful habitats, these winged pests don't migrate often. The Flying Mouse has a strong preference for Brie Cheese, Gouda Cheese, and SUPER|brie+. In the Meadow location, the Flying Mouse is attracted to Brie Cheese, Gouda Cheese, and SUPER|brie+. In the Town of Gnawnia, the Flying Mouse is not attracted to White Cheddar Cheese or Gilded Cheese. In the Windmill location, the Flying Mouse is not attracted to White Cheddar Cheese or Grilled Cheese. In the King's Arms location, the Flying Mouse is not attracted to White Cheddar Cheese. No Charms are required to attract the Flying Mouse. The Flying Mouse drops Packets of Flour in the Windmill location. The Flying Mouse is not known to drop loot in the Meadow, King's Arms, Tournament Hall, or Town of Gnawnia locations. Attraction info and special event loot drops for the Flying Mouse can be found at the individual event location pages. 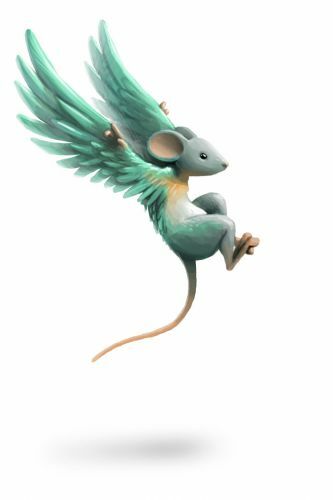 8 June 2010: The Flying Mouse was introduced in the Town of Gnawnia, with the roll-out of MouseHunt v.3.0. 30 June 2010: The Flying Mouse was added to the Meadow and Windmill locations. 25 June 2013: The Flying Mouse gained a vulnerability to Law power type traps, with the release of Varmint Valley. 19 September 2013: The Flying Mouse gained a taste for Brie Cheese and Gouda Cheese during the Gnawnia population shift, although SUPER|brie+ still remains the most effective bait. 25 March 2014: The Dream Drifter Mouse was introduced as the Rift counterpart of the Flying Mouse. 25 March 2014: The Flying Mouse gained a vulnerability to Rift power type traps, with the introduction of the Rift Plane. 2 September 2014: The Flying Mouse began dropping Packet of Flour as loot at the Windmill. This page was last edited on 12 April 2019, at 10:59.